At the meeting of 6 December 2017, the RMA also considered the following matters. The above investigation notices appear in the Government Notices Gazette of 23 January 2018. The advertising of these investigations was deferred in order to minimise the period during which claims are prevented from being determined due to the provisions of ss 120A(2) and 120B(2) of the Veterans’ Entitlements Act 1986. 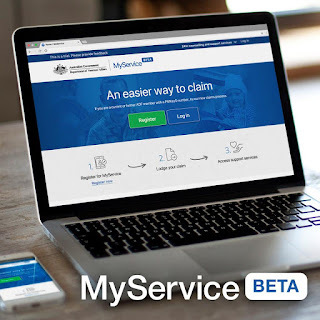 Did you know that if you have a PMKeyS number it is now easier to claim with DVA? With the new online system, MyService, claims for your service injuries can be lodged online in just a few minutes. A unique program aimed at assisting younger veterans adjust to the pressures of a new life outside or within the military. The need for such an approach was obvious to those who had experienced the sense of loss and frustration caused by commencing a new life coupled with facing a society who did not fully understand our problems. It is true that some will adjust quite easily to these changes, but others for many reasons may feel isolated. It is the firm belief of the RAR Association that the older and more experienced ex-servicemen are in a position to offer assistance in a way which is not possible from other more conventional support systems. This is the background to the Trojans Trek program. The Regional Implementation Group Region 3 is responsible for implementation of the ATDP in South Australia, Victoria and Tasmania. There are opportunities to develop your training and assessment skills, which may lead to participation in the national ATDP Training Team as a Trainer/Assessor. There is also a vacancy in the Continuing Professional Development task group. • Please send your application to~~ ATDP.Communications@dva.gov.au ~~by 2400 AEDT on Friday, 26 January 2018. For more information about the ATDP visit the DVA website www.dva.gov.au. 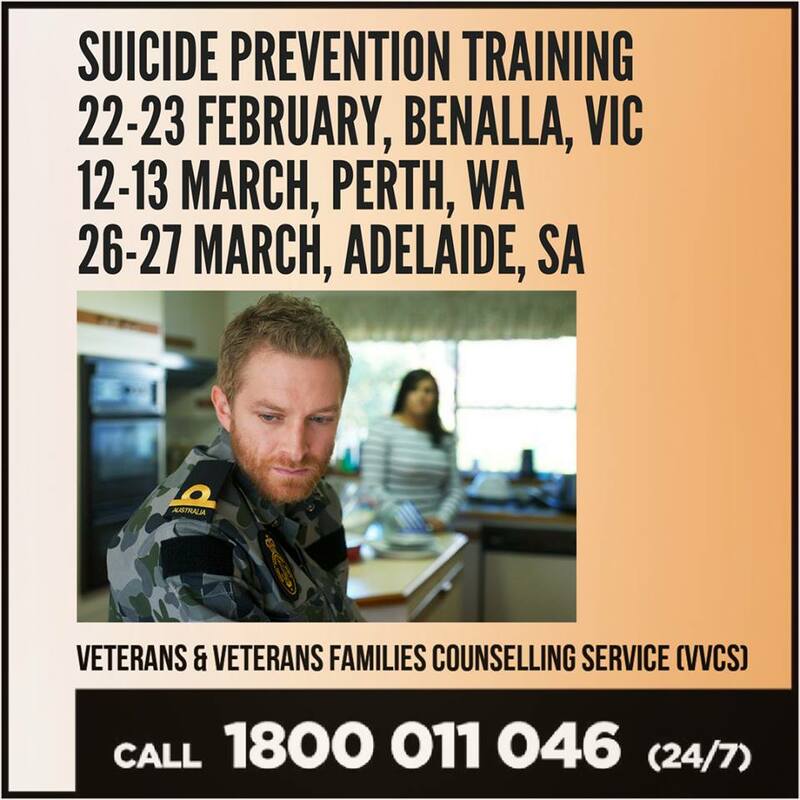 New dates for VVCS suicide prevention workshops have been released. These workshops can give you the skills and techniques to confidently support members of our community who are dealing with suicidal thoughts. For more information or to register, call VVCS on 1800 011 046 (during business hours) or visit bit.ly/2xKU2sX. 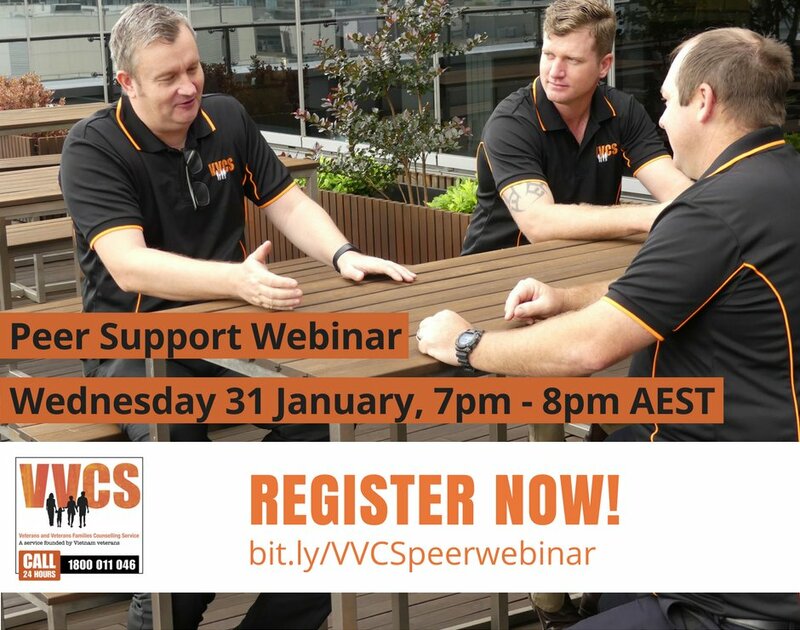 The next VVCS community webinar is on Peer Support - the value of mates. They discuss how important connecting with those who have similar ADF experience can be to recovery from military trauma. The above SOPs take effect from 29 January 2018. The above investigation notices appear in the Government Notices Gazette of 9 January 2018. * Please note that the SOPs for non-freezing cold injury were previously known as immersion foot, and the review of the contents of the SOPs were notified under that title. Workplace Experience Logs (WELs) are used by people (candidates) undertaking ATDP training to record each workplace learning activity. Candidates record the date, details of the activity and their comments. Then their mentor adds feedback about the activity and initials the entry. When each stage or milestone of the training is completed, the mentor reports on the Online Management System (OMS), which is accessed through the ATDP website. For example, ATDP Welfare Level 1 has four stages. By recording the completion of each of these stages in the OMS, the Regional Mentor is alerted to make available to the candidate the online modules for the next stage of their training. Some candidates and mentors have asked for an electronic version of the WEL. They’re used to working online, and it means Regional Mentors can more easily monitor the progress of candidates. A hard copy WEL also isn’t practical if the candidate and mentor are not in the same location as they both needs access to the current version. ATDP has listened to this feedback, and an online version of the WEL is now available for both candidates and mentors. New candidates now receive only the online version. Candidates who are currently using a hardcopy WEL can change to the online version by asking their mentor to contact a Regional Mentor. One of the main aims of the ATDP is to make it easier for veterans and their families to locate an advocate. New information will be added to the directory as more advocates are accredited and more ESOs provide their preferred contact information. Currently the directory lists the names of the ex-service organisations (ESOs) that have an ATDP accredited advocate or advocates, the ESOs’ contact details, and whether they provide compensation and/or welfare services. We’re planning to add the names of individual advocates in the future. A better search function and other improvements are also in the pipeline. The ATDP has received many inquiries about when VITA insurance coverage for TIP trained practitioners ceases. Click here to view/download a letter from the President of the Veterans' Indemnity and Training Association (VITA) explaining the situation. If you have any further VITA questions, there are contact details for VITA on the letter.